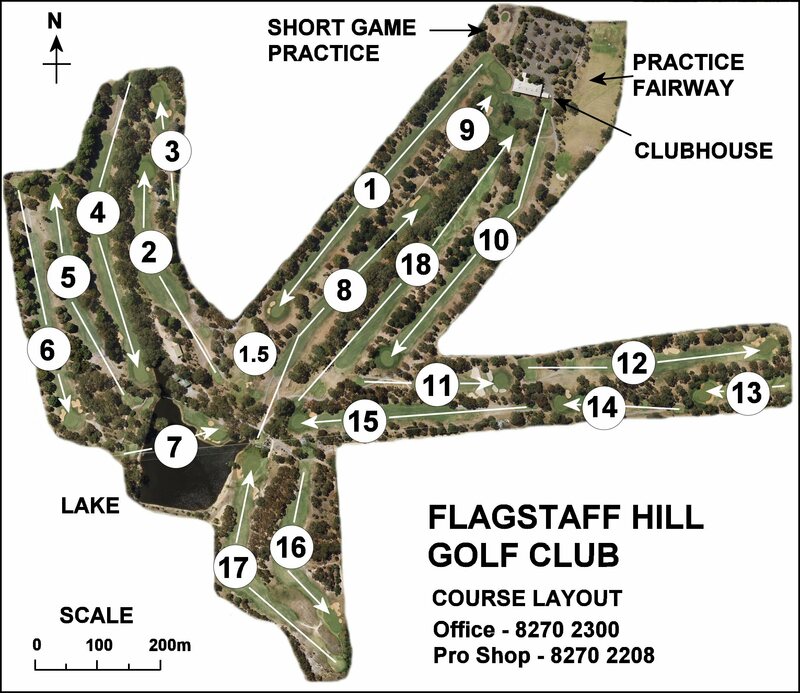 The course comprises 18 holes plus a "spare" hole (1.5) which can be used during course redevelopment work. A short Orange course has been laid out with orange tee markers, for beginners and young Juniors. In the Course Tour hole details below, "Red Tees - Women" and "Blue Tees - Men" list the most commonly used course details, but the Red course is also rated for Men. There is also a White (Men) and Orange Course (Men & Women). The stroke index is separately defined for men and women, being the same for all courses except the Orange course. 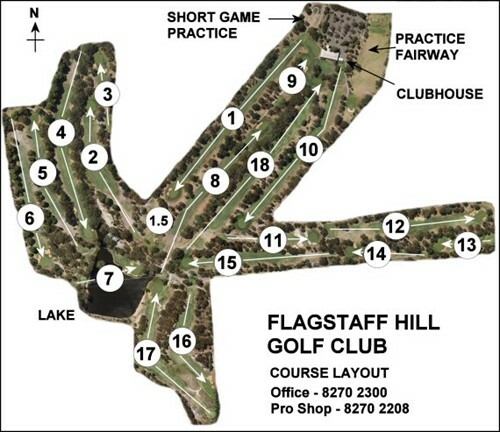 Note that the Women's Red Course has a different Par on the 6th hole than for the Men's Red Course. Click on the course link to view the daily handicap lookup table. Click on the map to view a higher resolution version or right click to download.